Ideally, your training partner is both competitive and supportive... and if there's no one around just asking the next best person to spot you will make a significant difference, too. Are you training with a coach or partner? No? Well, after reading today's SuppVersity Special, you may want to get one; and that despite the fact that we know only relatively little about the effect of the presence of a training partner, coach or, as investigated most recently, a spotter on our exercise performance, yet. In a recent study from the Edge Hill University in the UK, Sheridan et al. investigated the effect of spotter presence on bench press performance. To this ends, twelve recreationally trained participants (age, 21.3 +/- 0.8 years, height, 1.82 +/- 0.1 m, and weight, 84.8 +/- 11.1 kg) performed 2 trials of 3 sets to failure at 60% of 1 repetition maximum on separate occasions. Even for people who know what they're doing a partner or coach may be very helpful. 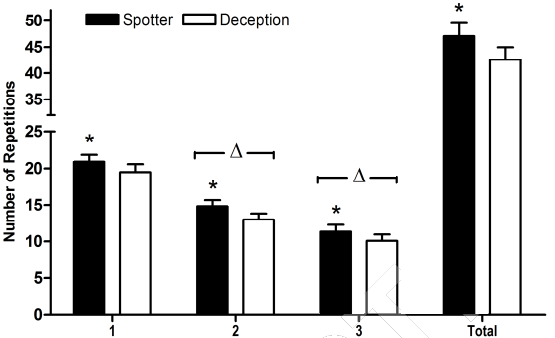 The 2 trials consisted of spotters being explicitly present or hidden from view (deception). During the trials, total repetitions (reps), total weight lifted, ratings of perceived exertion (RPE), and self-efficacy were measured. 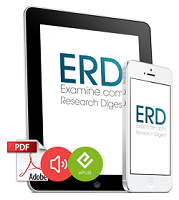 resistance training programmes, the scientists expected to be able to measure a similar effect as it was observed by Wise et al. whose 2004 paper describes an experiment in which thirty-two women who had not bench pressed within the previous 18 months received positive verbal feedback by a trainer, resulting in significantly strengthened self-efficacy. training partners, coaches or personal trainers can significantly improve your physical performance and - most importantly, the strength and power gains you will see in response to a 12-week training program. Mazetti et al. (2000) observed increased strength and size gains PLUS improved effects on lean body mass if training in the presence of a coach -- The scientists had twenty moderately trained men aged 24.6 ± 1.0 yr (mean ± SE) train either under supervision by a personal trainer (SUP) or unsupervised (UNSUP) for 12 weeks. 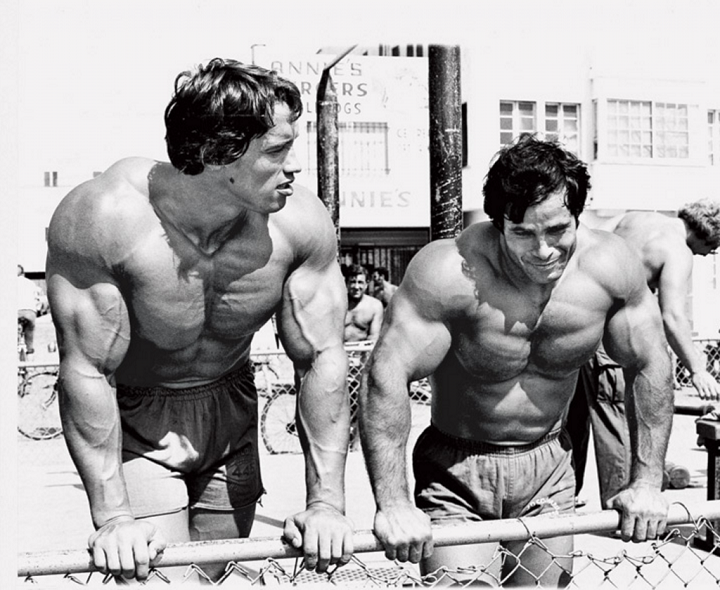 Both groups performed identical linear periodized resistance training programs consisting of preparatory (10–12 repetitions maximum (RM)), hypertrophy (8 to 10-RM), strength (5 to 8-RM), and peaking phases (3 to 6-RM) using free-weight and variable-resistance machine exercises. Subjects were tested for maximal squat and bench press strength (1-RM), squat jump power output, bench press muscular endurance, and body composition at week 0 and after 12 wk of training. 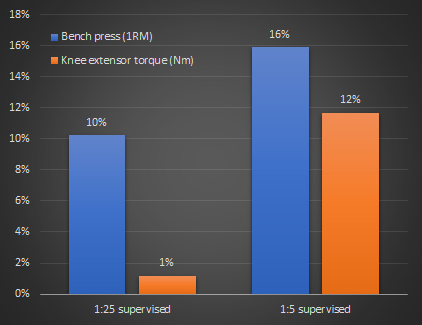 Figure 1: Training under supervision significantly increased the 1RM gains on squats (left) and the bench press (right) in twenty moderately trained men in a pertinent paper by Mazetti et al. (2000). The results were quite unambiguous (in favor of training under supervision): The subjects mean training loads (kg per set) per week were significantly (P < 0.05) greater in the SUP group than the UNSUP group at weeks 7 through 11 for the squat, and weeks 3 and 7 through 12 for the bench press exercises. The rates of increase (slope) of squat and bench press kg per set were significantly greater in the SUP group. Maximal squat and bench press strength were significantly greater at week 12 in the SUP group. Squat and bench press 1-RM, and mean and peak power output increased significantly after training in both groups. And what you will probably like best: The SUP group also saw the greater and exclusively statistically significant increases in lean mass (+1.38 ± 0.25 kg, p < 0.05 vs. 0.25 ± 0.37 kg, p > 0.05) - at virtually identical gains in fat mass, by the way. Coutts et al. (2003) found that the presence of a trainer potentiated the beneficial effects of a standardized resistance training program in Australian rugby players. In their study, the scientists had examined the influence of direct supervision on muscular strength, power, and running speed during 12 weeks of resistance training in young rugby league players. Two matched groups of young (16.7 +/- 1.1 years [mean +/- SD]), talented rugby league players completed the same periodized resistance-training program in either a supervised (SUP) (N = 21) or an unsupervised (UNSUP) (N = 21) environment. Measures of 3 repetition maximum (3RM) bench press, 3RM squat, maximal chin-ups, vertical jump, 10- and 20-m sprints, and body mass were completed pretest (week 0), midtest (week 6), and posttest (week 12) training program. Results show that 12 weeks of periodized resistance training resulted in an increased body mass, 3RM bench press, 3RM squat, maximum number of chin-ups, vertical jump height, and 10- and 20-m sprint performance in both groups (p < 0.05). What's more important in the context in which we're looking at this study, though, is this: the SUP group completed significantly more training sessions, which were significantly correlated with strength increases for 3RM bench press and squat (p < 0.05). Furthermore, the SUP group significantly increased 3RM squat strength (at 6 and 12 weeks) and 3RM bench press strength (12 weeks) when compared to the UNSUP group (p < 0.05). 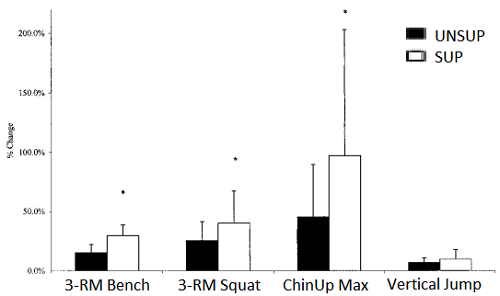 Finally, the percent increase in the 3RM bench press, 3RM squat, and chin-up_max was also significantly greater in the SUP group than in the UNSUP group (p < 0.05). Now you will (rightly) say that the supervision of a trainer is something else than the presence of a training partner... and you're right, but a training partner can easily do what a coach would do and he is at the same time a competitor, whose presence during training has previously been shown to trigger performance improvements in response to an increase of external attentional focus mediated reductions in perceptions of effort (Williams 2015) - even if that was in an endurance exercise context (time trial cycling). What's 'self-efficacy'? Psychologist Albert Bandura has defined self-efficacy as one's belief in one's ability to succeed in specific situations or accomplish a task. One's sense of self-efficacy can play a major role in how one approaches goals, tasks, and challenges. Studies by Rhea et al. (2003) support the notion that the mere presence of someone who would notice your failure/success has significant ergogenic effects in the gym, as well. More specifically, the scientists from the scientists from the Arizona State University observed significant increases in bench press performance in thirty-two recreationally trained participants (15 men, 17 women; 21 +/- 2.5 years) who performed a 1 repetition maximum (1RM) bench press during 3 different situations in both, a situation in which an audience was present (105 +/- 48 kg) and when they were participating in a competition (103 +/- 46 kg vs. 93 +/- 43 kg in the control condition), male and female subjects performed significantly better than in the control condition, in which other athletes were present, but not perceived as competition. Table 1: Mean difference in performance and activation measures when male and female recreationally trained subjects performed bench presses with non-competitors around, an audience or competition (Rhea 2003). As Rhea et al. highlight, their data in their entirety "suggest that performing a maximal lift in the presence of an audience or in competition facilitates performance and support the self-presentation and self-awareness theories" (Rhea 2003). If and to which extent similar effects will be observed in the presence of a spotter hadn't been clear, however, when Sheridan et al. conducted their study to determine the effect of the presence of spotters on performance and the psychophysiological responses during bench press exercise. the subjects' self-efficacy ratings were significantly reduced when the spotter was nowhere to be seen (difference = 1.58, f = 26.90, p < 0.001). As the authors point out, this latest in a series of studies the results of which relate to training with a training partner demonstrates the psycho-physiological benefits of performing resistance exercise in the proximity of others... any guess what: the effects are likely to occur even if you didn't bring the spotter but simply ask the guy or gal on the bench to the left if he/she could spot you. Training with a coach every fifth workout proved to be significantly more effective in improving the 1-RM bench press performance and knee extensor torque in an 11-week study by Gentil & Bottaro from 2010 than having someone supervise the training only every 25 workouts. Why train with coach/partner? Supervision, spotting / safety, competition/motivation, and accountability are only four of the ways you can benefit from having a coach or knowledgeable training partner in the gym. Studies show that "supervision" in any form (including simply having an audience) may increase your self-efficacy, motivate and allow you to train with greater loads/intensities, push you through a greater training volume, and make sure that you don't miss a set or complete workout because "it's just not [your] day, today". Luckily, research suggests that you don't have to bring a coach to every workout: Gentil & Bottaro found in 2010 that doing only 20% of your workouts with a trainer (vs. 4%) will facilitate significant increases in both bench and leg press performance in response to an otherwise identical 11-week resistance training program | Comment!